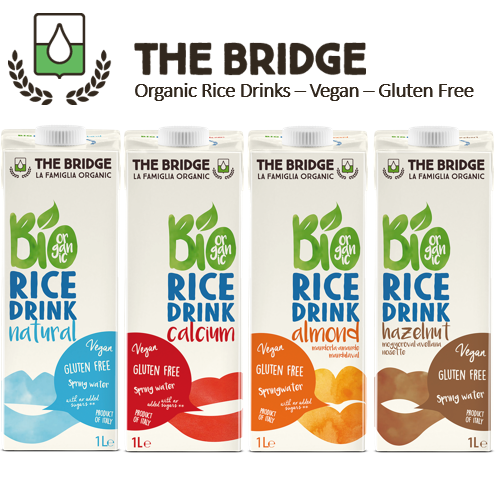 The Bridge is a family company in northern Italy (close to Vicenza) producing 100 % organic drinks, desserts and cooking creams made with carefully chosen and certified ingredients. 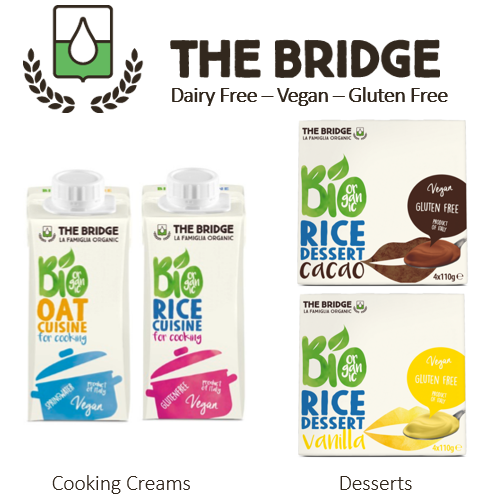 All the products are vegan, lactose and cholesterol free and most of them gluten-free. In addition, all the products are made with extraordinarily pure spring water coming directly from the mountains of northern of Italy. 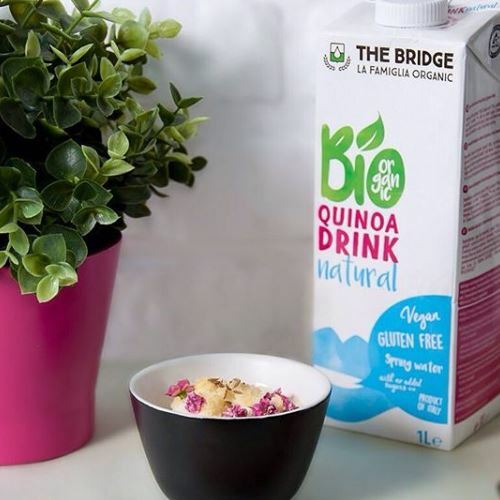 Water is one of the most relevant ingredients when it comes to produce a good tasting cereal or nut drink. 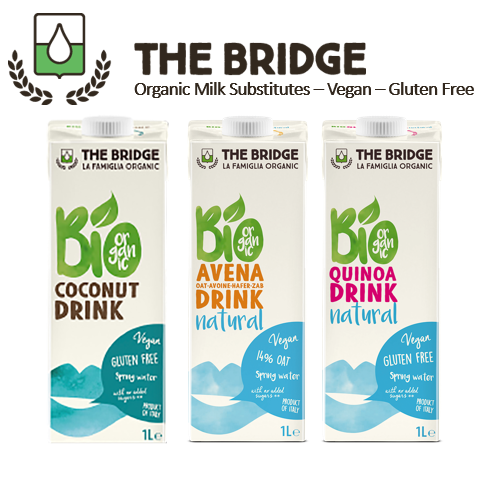 As a result, these 100% organic drinks, originally intended for Lactose-intolerant and vegan customers, are so tasty that they are proving a huge hit with traditional dairy addicts! 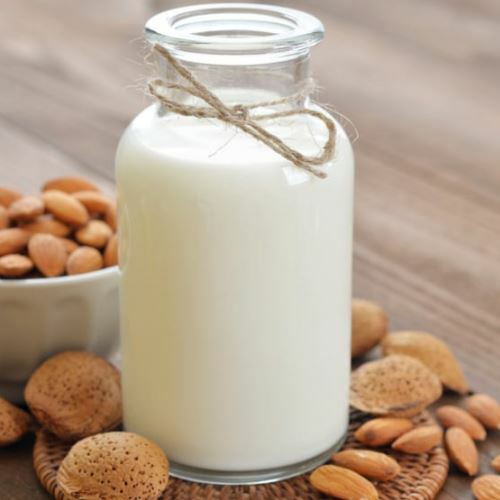 Because lactose is not meant for humans once they reach puberty and causes bloating and a lot of other metabolic issues, we believe every one should look at reducing its dairy intake. 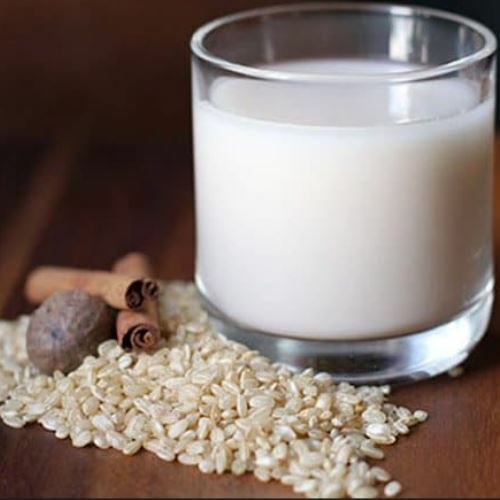 This range of milk, creams and desserts alternatives is therefore ready to amaze you!